My painting A Perfect Couple has just received Highly Commended (that is, the second best!) 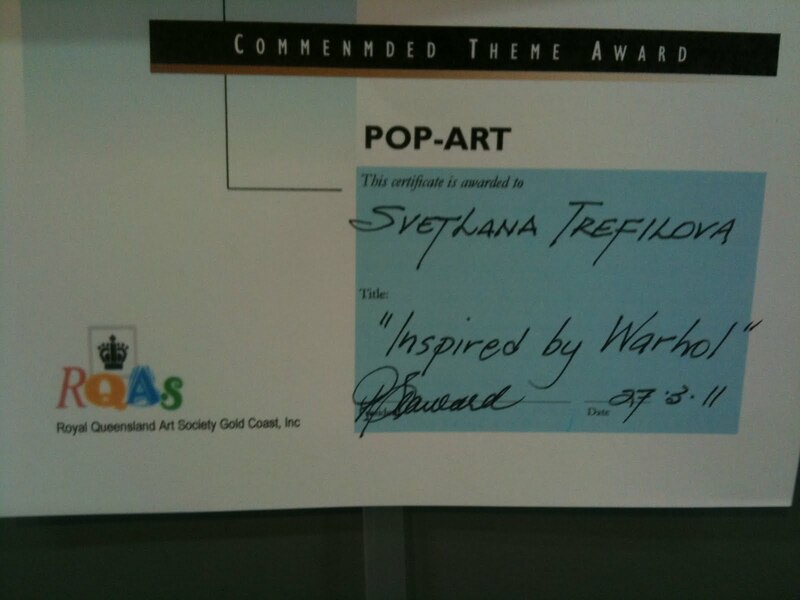 theme award in this month’s RQAS exhibition! It is one of my recent series of cubism/surrealism works. And I have updated My Artwork section of the site with two new galleries: paintings from my solo exhibition and some of my most recent works. Enjoy! My personal exhibition opening – it is still not too late to register! If you haven’t registered your interest in attending the opening of my personal exhibition, there still is a chance! Please RSVP to Jacquie by Monday 11 July , see the flyer for details. The exhibition opens at 3 pm on Sunday 17 July, the $25 entry fee includes one drink from the bar and a movie ticket (I was told that the move is going to be Blame). Of course you can see the exhibition any time for approximately 6 weeks after opening but I invite you to come to the opening to support me and RSPSA! 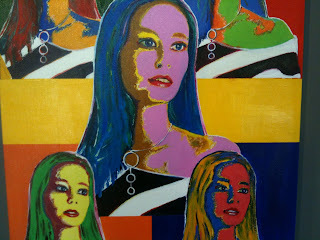 I am very proud to announce my personal exhibition that will open at Blue Room Cinemas, Paddington on 17 July! Please watch my site as more details on time and program will be available soon. Part of the proceedings will go directly to support RSPCA. I will be showing some of my recent watercolours and mixed media works, many of them featuring animals and other living creatures. You are welcome to come and enjoy the paintings!